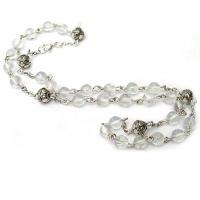 Clear quartz crystal beads hand linked with sterling silver Turkish beads is an elegant necklace for women. 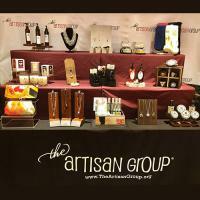 This necklace was on display at GBK's 2018 Golden Globes Celebrity Gift Lounge and tried on by the lovely Asia Money Ray - former star on Dance Moms, Grey's Anatomy and American Crime Story. Clear Quartz Crystal has clean simplistic beauty along with a very high vibration. It amplifies intention and aids in mental clarity and clairvoyance. Quartz crystal absorbs energy easily and should be "cleared" frequently.